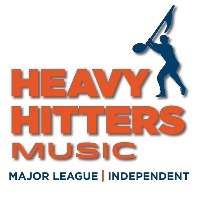 The Heavy Hitters Music catalog is an Emmy award winning catalog of songs from over 1,200 Independent Artists, Songwriters, Composers and Bands. Music carefully curated for the primary purpose of providing radio quality source music to the film, television and advertising community. Our goal is to help you find the perfect song for your project, show or scene, and make the licensing process easy, fast and uncomplicated. We are major league, independent music at its best. This is an area where you can submit your demos for our consideration. - How to Submit - You can upload your song(s) using the submission button on the right and please don't forget to add your contact details for us to contact you if we like what we hear! - Message - When sending over your music, it's always good to add some more information about yourself and/or the release. So drop us a short message along with your submission! We do listen to everything that is submitted but, due to time constraints, unfortunately we cannot provide everyone with feedback. We will however, contact you directly if we are interested in discussing your submissions and learning more about you. Looking forward to hearing your submissions!